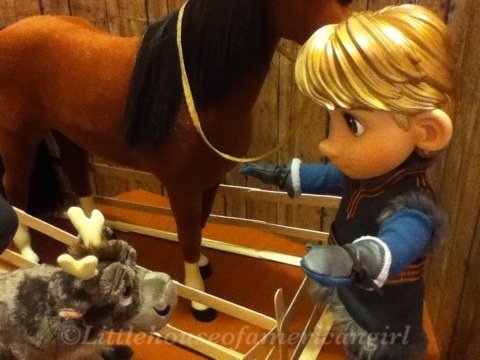 Sven is really cute! 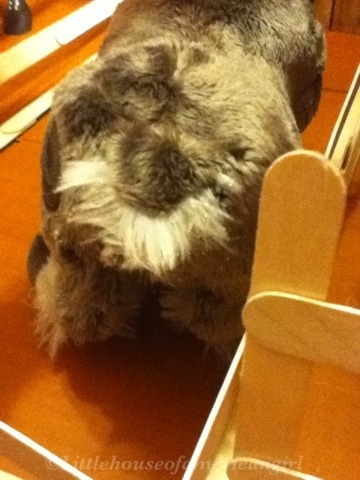 I like that he is stuffed. That is what makes him so cute, I think. 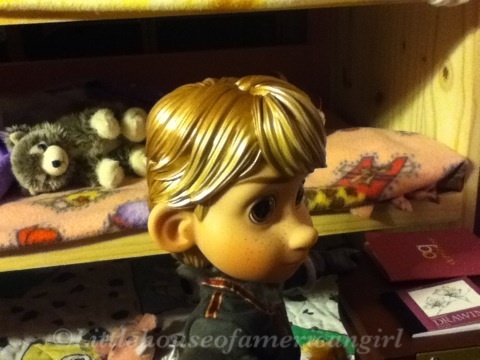 I think they should have made Kristof with “real” hair, don’t you think? OH MY GOODNESS! Soooo cute! 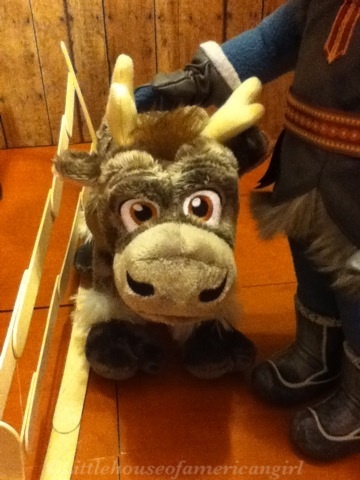 Adorable worable Sven! Awww, such a cute little wiendeer! 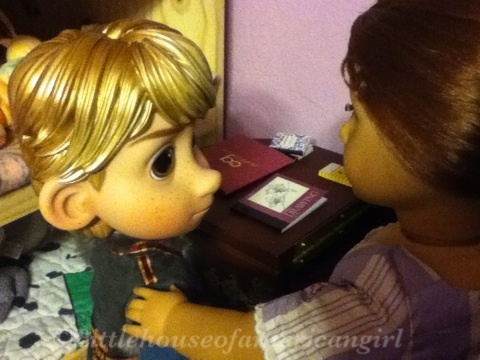 Good thing Kristoff can’t hear me…LOL! AWWWW!!! He’s so cute! 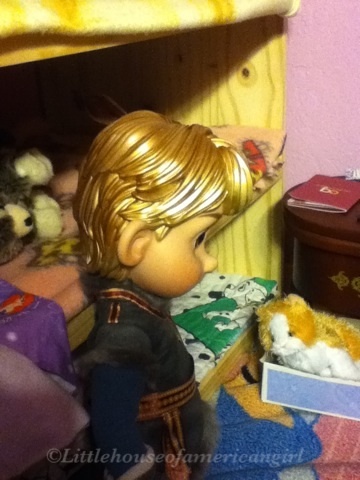 Is he actually from Disney? So cute, I’m glad Sven is back 🙂 . 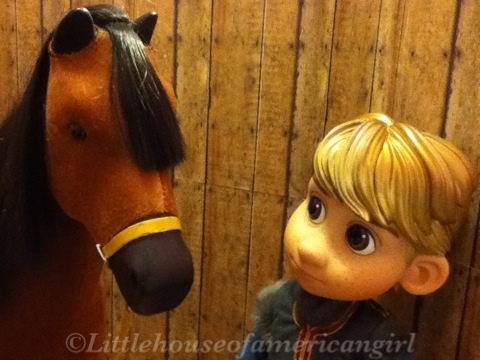 How big is Kristoff? How sweet! 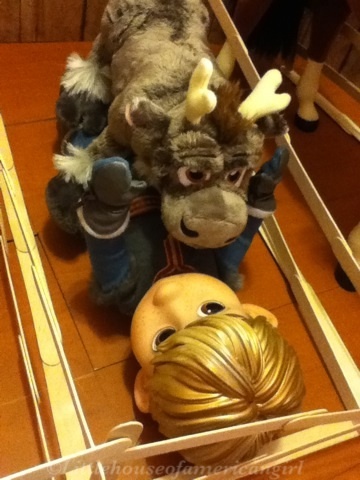 I love the way your pictures make his face seem so sad before he finds Sven and then so happy afterwards! Are you planning to get Olaf too? What?! 😉 Do you at least like warm hugs? 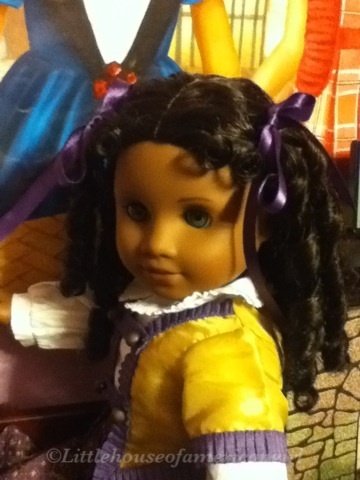 Does anybody know of a doll 14in. tall beside H4H? Aqua-sorry, I couldn’t think of any. The closets thing to 12 inches I thought of was A Girl for All Time, but they are 16″ and AG Bitty Twins, but they are 15″. Aqua-check out Corelle. They have plenty of different sizes, including the one you’re looking for. 🙂 Hope this was helpful. Frozen is set in Norway. There is actually a place in Norway called Arendale! Oh, really? That is SO cool!! When are you going to post the name the AG? 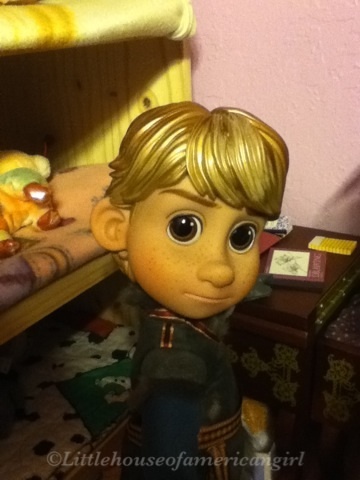 Where did you get Kristoff?